A U.S. senator is a suspect in the disappearance of a young female staffer while another man is accused of murdering a priest. Both clients are lying. Lawyers Marty Nickerson and Harry Madigan must battle both for and against their own cagey clients in order to see justice served. 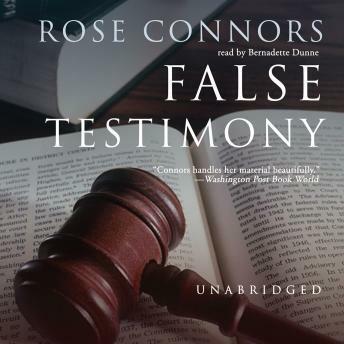 Enjoyed this book about false testimony and the Mass. state laws regarding it and the attorney. The past was fast and a mix between family interaction and court room drama. The reader was very good. This book was easy to listen to but you will probably guess what is going to happen and you will right. Good characters; legal settings that seem real; nothing phony. A good read---somehow comforting as it takes a close look at the legal system through interesting fictional cases.